It’s June! Warm weather has finally arrived, and here in Maine we’re all ecstatic to spend some days in the grand outdoors. This state really is beautiful-- and as soon as temperatures rise, tourists and locals alike flock to the glorious coastal shores to soak up the sun and the exquisite view. This month’s Behind Factory Doors is appropriately dedicated to the Seashell Bedspread. Inspired by the stunning, iconic forms of Maine’s rocky coastline, this midweight style is a recent addition to our Matelassé Collection. A variety of shells and starfish are the focal point of this delightfully attractive pattern. Scattered on a backdrop of tiny pebbles, these oceanic treasures are rendered in their complete realistic beauty-- and are sure to leave you reveling in the magic of the sea. During the sun-soaked months, there’s no place like the beach! Whether you’re a longtime resident Maine-ah searching for the ideal day trip, or a curious visitor hoping to experience the State’s bountiful offerings, Maine’s coast is THE summertime destination. Believe it or not, Maine’s wondering shoreline spans a whopping 3,478 miles (51 miles longer than California’s!) so there is a lot to see and do. Below is a short list of our favorite coastal attractions, some wildly popular and others a bit more unknown. Possibly one of Maine’s greatest recreational tourist attractions, Old Orchard Beach has it all: an oceanfront amusement park, fine restaurants, lodging areas/campsites, and of course, 7 miles of sandy beach. The Pier, which stretches out 500 ft. into the Atlantic Ocean, is the centerpoint of OOB’s entertainment complex. Of course, OOB is just one of many. For a full list of Maine’s beaches, click here. If you like spooky tales of haunted places, this visit might be for you. The Segiun Island lighthouse is one of Maine’s fully functional historical lighthouses, but be wary! Lore has it that long ago, one of the Keepers purchased a piano for his wife to play during the long, isolated winter months. Much to his chagrin, the piano came with only a single piece of sheet music. The Keeper’s wife played the song incessantly, eventually driving her husband to insanity: he took an axe to both the piano and its musician. People say that ghostly remnants of plinking piano still echo throughout the island...Ooooo! For a full list of Maine’s lighthouses, click here. Named “Best Coastal Camping” in 2014 by Yankee Magazine, Wolfe’s Neck Farm Campground is sure to please. Located in the heart of oceanfront forests and farmland, but only a 30 minute drive from Portland, Wolfe’s Neck Farm offers the best of both worlds: gorgeous rural landscapes with easy access to off-site local attractions, such as L.L.Bean. For a full list of Maine campsites, click here. 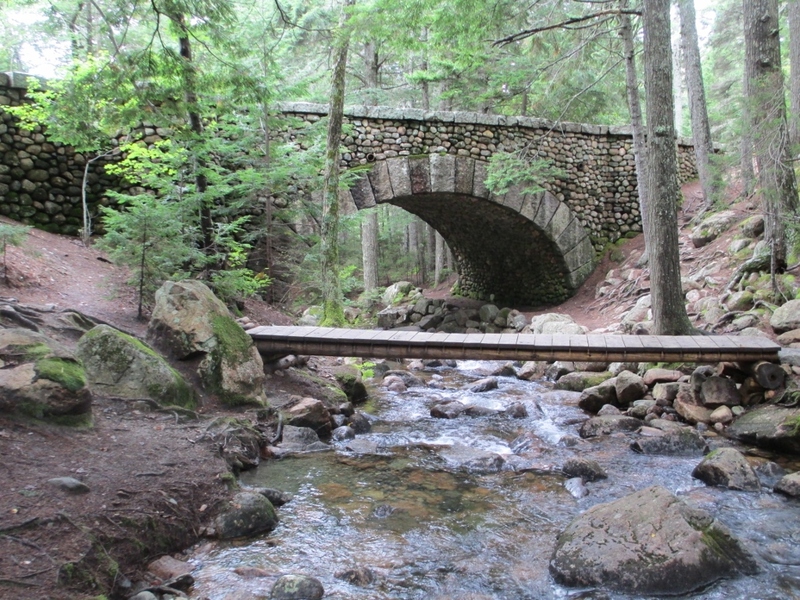 Acadia National Park’s 50+ miles of Carriage Roads offer the avid biker a unique and charming ride, to say the least. The roads are all gravel, and loop throughout a forested, fairytale-esque world. If biking isn’t your bag, don’t sweat it! People hike, jog, and even go by horseback. What would a Maine trip be without the lobstah?! Experience the red crustaceans from water to table with the Rugosa Lobster Boat Tour. Lasting only an hour to an hour and a half, these tours are super family friendly. What are you waiting for? Hop on the boat, haul some traps, and enjoy being out on the water! Lobster rolls, anyone? Have a Maine coast vacation story you’d like to share, or does your family have a favorite summer destination in Maine? Tell us about it in the comments below! Don’t miss our sale on June’s featured style, the Seashell. Enter promocode JUNESHELL10 and get yours today at 10% off! Sale ends July 1st.